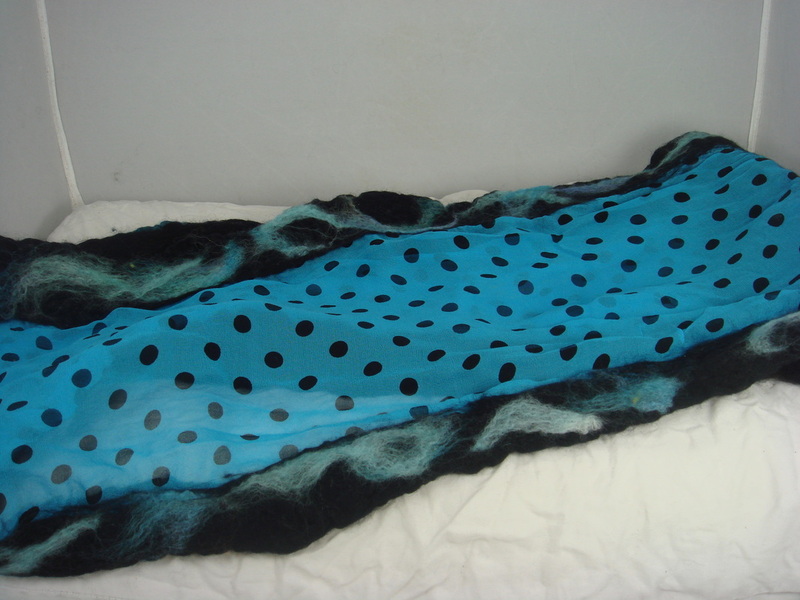 DESCRIPTION: These beautiful scarves are made of 100% silk chiffon and hand painted merino top roving wool. 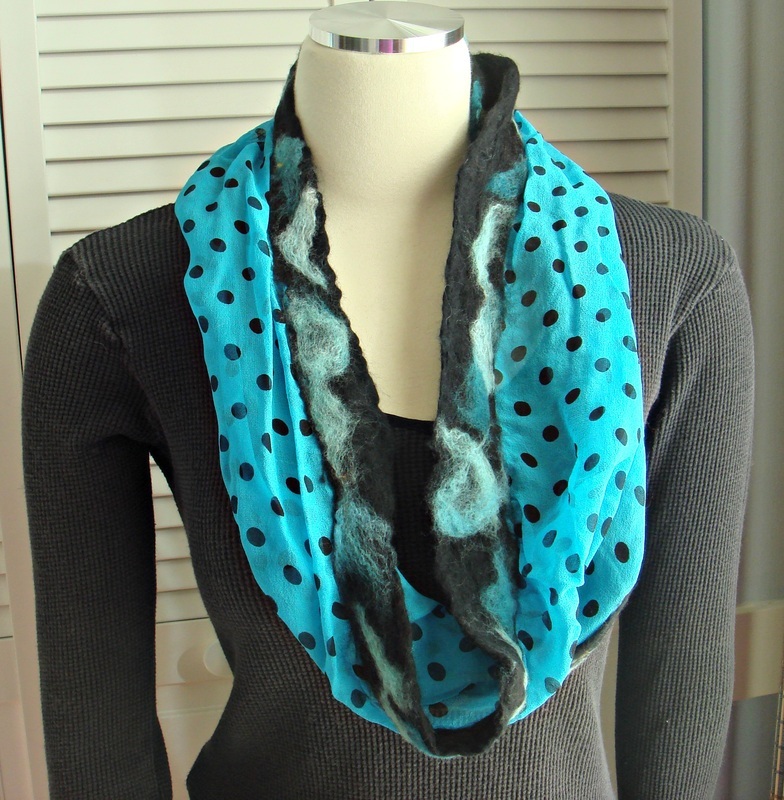 They are made by laying wool strands on BOTH sides of the silk and then fulling it (rolling, pushing, throwing) with soapy water.The process makes the scarves VERY soft, perfect for against the skin.. Own a beautiful "stained glass" piece of wearable art !! 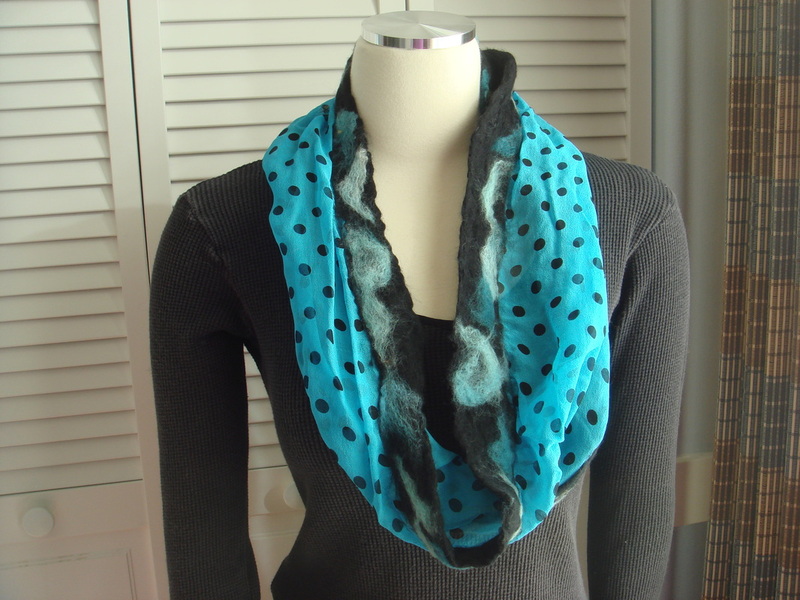 This one is an infinity scarf and makes a circle.54" X 11"